ASTANA – Primus Power, a provider of long-life and long-duration energy storage systems, is working on its second project in Kazakhstan with Samruk Energy, a subsidiary of the Samruk Kazyna Sovereign Wealth Fund. 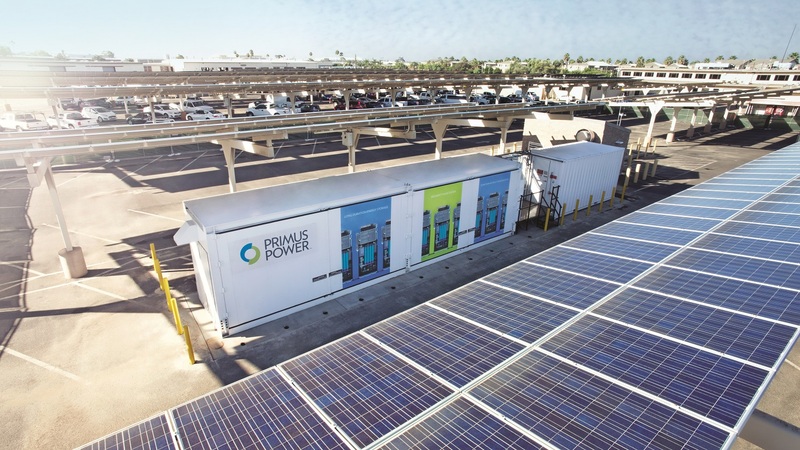 Primus Power’s innovative EnergyPod has been used to deal with specific energy issues internationally, and now will be showcased as one of the best energy storage solutions at the upcoming EXPO 2017. Based in Silicon Valley, Primus Power was established back in 2009. It offers innovative flow batteries for international microgrid, utility, military, commercial and industrial customers. The company has received 32 patents in seven countries. “Flow batteries offer a unique advantage for grid storage. As Bill Gates remarked in launching the Breakthrough Energy Coalition in November 2015, unlike lithium-ion batteries, flow batteries could last for decades and the rechargeable electrolyte liquid could last indefinitely,” says the company’s website. “Simply put, Energy Pod is a giant rechargeable battery – giant not in terms of the sizes, but in terms of its capacity and power. It is very flexible in its usage,” said General Director of Primus Power in Kazakhstan Ruslan Rakymbay in an interview with The Astana Times. Also, it takes five to six hours for a flow battery to discharge, while widely used lithium-ion batteries are unable to show such characteristics. The low-maintenance EnergyPod can solve issues such as high demand charges or grid outage and islanded operation, the likes of which it has managed to resolve at the ICL Phos-Chek Facility or U.S. Marine Corps Air Station Miramar. The system can also help manage unstable electricity generation from renewable sources, said Rakymbay. “We have to take account that while using renewable power sources, the energy flow depends on the wind or sun activity. For example, there can be energy surges due to cloud movement, so generation jumps and the grid infrastructure – stations, substations, transformers and the whole interconnections – suffers from those energy leaps,” he added. EnergyPod smoothes out those jolts by giving its own energy during such leaps, so the flow is constant. 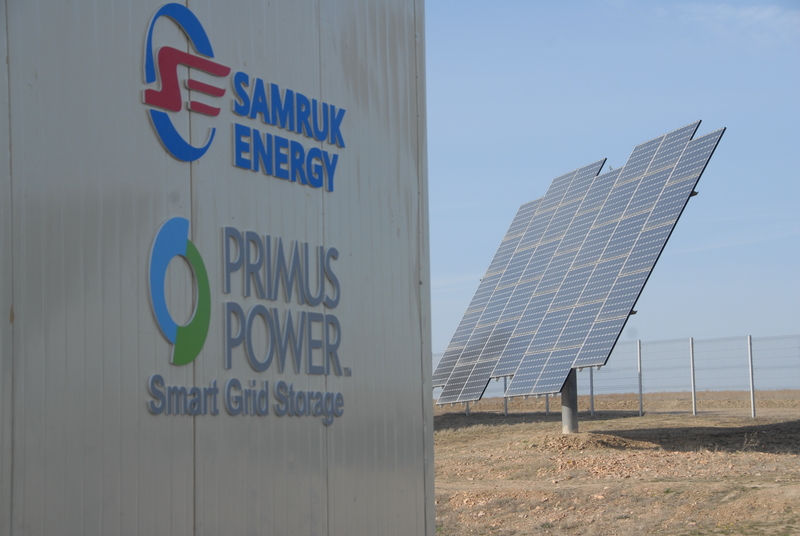 Primus Power has worked with Samruk Green Energy on the installation of the EnergyPod at the Kapchagai solar power station, and installation at the Yereymentau Wind Power Station is underway. The agreement was signed during last year’s Astana Economic Forum. The first generation of the battery was made in 2015. At the moment batteries are manufactured only in the United States. “We have entered Kazakhstan to open production here as well and to cover the whole region – the Commonwealth of Independent States, Asia and Southeast Asia,” he stated. “Also Kazakhstan was chosen because there are Kazakh investors in the project. They are represented by the Kazakhstan-Russian Fund of Nanotechnologies, which was created by Rusnano and Kazyna Capital Management [a subsidiary of Baiterek National Management Holding]. One of the conditions of the investments was its implementation in Kazakhstan,” said Rakymbay. The technology was developed and used by NASA, which then released its patents into the public domain. “They were not interested in it due to the high cost. Our company has reduced the cost to the minimum, simplified it and reached the result of 20 years duration time,” said Rakymbay. According to him, the use of titanium electrodes is what enables such a life span to be achieved. “Titanium is a durable material that even after a long time does not change its features. Thus, the electrodes can withstand more than 15,000 charge and discharge cycles,” he said. One of the pavilions at EXPO 2017 will be named the Energy Best Practices Area. Primus Power was chosen as one of the 100 companies to be presented there, from a global pool of 600. “They chose from international companies in the spheres of clean tech, renewables and others and have selected to show our technology in the pavilion,” he stated. The Kazakh Ministry of Energy also organised a start-up contest, New Energy Global Start-up Fest, in December. The jury chose 30 start-ups out of 780 to be presented at the expo. “We were recognised as the best energy storage solution,” said Rakymbay.